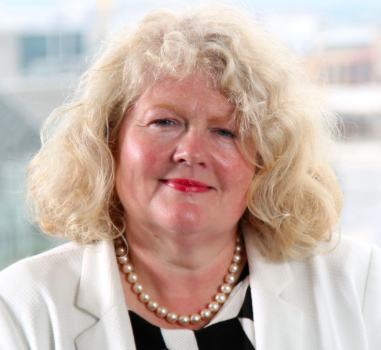 Farm Week Column For 15th November 2018 – Michele Shirlow Chief Executive Food NI | Food NI - Our Food So Good! The latest overview of the artisan food market by survey experts Mintel on the island of Ireland is immensely encouraging for specialty food and drink producers here. The sector, according to Mintel, is continuing to grow strongly and especially in terms of its support from shoppers. And it was also boosted substantially last week when Northern Ireland was named Best Food Destination 2018 in the prestigious International Travel and Tourism Awards in London. I was thrilled to be in London to collect the influential award for our entry based on the success of Year of Food and Drink 2016, an initiative involving Food NI, Tourism NI, Tourism Ireland, Invest NI and government departments especially the Department of Agriculture, Environment and Rural Affairs. It is a tremendous global endorsement of our food and hospitality industries. Mintel predicts that there will be a 2.7 percent growth in the all-Ireland market for artisan foods between 2017 and 2018, with the market being set to reach over £750 million. Within the Republic growth is expected to be 3.2 percent, taking the market to over £200 million. Uncertainty around the outcomes of Brexit is thought to account for a less favourable market in Northern Ireland as it impacts upon consumer confidence. However, the growth in artisan sales in the Republic offers significant opportunities for our smaller food exporters. The report also suggests that “a greater availability” may also be a reason for the more robust market performance in the Republic, as this is where the majority of the 235 specialist food markets on the island are located. But what we have seen here since the hugely successful Year of Food and Drink in 2016 is an expansion of artisan markets in most cities and many towns across Northern Ireland. Food NI continues to work with local councils here to encourage the expansion of existing markets and the introduction of new opportunities for smaller food companies. We’d certainly be keen to support any council interested in starting a food market to boost opportunities for what is a fast developing sector with immense potential. Markets are crucially important in driving awareness of artisan foods and encouraging relationships between producer and consumers. The review also finds consumers now want artisan products to be more widely accessible in their usual retailers. This is hugely significant and a great business opportunity for retailers. It says 78 percent of Irish consumers “agree that there should be more of these products available in supermarkets”. Mintel says that the most important quality for Irish consumers buying artisan food is freshness, with 66 percent of consumers in the Republic and 63 percent in Northern Ireland saying this is important when shopping in specialist retailers. The next most important factor, according to Mintel, is provenance. Being made in Ireland is important to 35 percent of consumers in the Republic, and 38 percent in Northern Ireland. “High food safety standards” are also crucial in this sector. Other factors mentioned include locally sourced ingredients and high animal welfare standards. The messages about the benefits of artisan and smaller food and drink producers are clearly gaining widespread acceptance across the island and is also being influenced strongly by the achievements in competitions such as Great Taste Awards, Blas na hEireann and the UK and Irish Quality Awards. Mintel shows that there remains “plenty of opportunities for Irish food and drink producers within the artisan food sector, but they must deliver upon the high expectations Irish consumers have of these products in terms of taste and quality, while also communicating their local credentials”.